If you have uploaded a fixture against an opponent and then discover that you need to change the opponent team level (e.g. 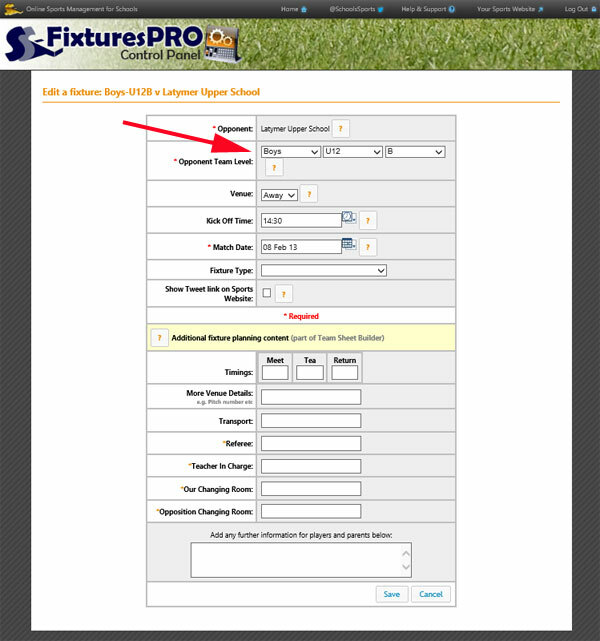 from U11B to U11A) then we recommend that you delete the fixture and create it again. When you create the new fixture ensure to select the correct opponent age level, as illustrated in the screenshot below.